You’ll have total control of it, which will make it easier to set up an effective sales funnel. Unlike pages you can make on other sites, it won’t become useless pretty much overnight (think MySpace). You’ll have more storage space available to you. Many potential fans will take you more seriously if you’ve your own site. I won’t spend anymore time on why you need a site as I’ve covered that before. So if you haven’t got a website yet, have a look at my step by step guide to setting one up with WordPress. If you already have one, let’s move on. Here are four way to make money from your music website. You don’t have to use all of them, some you may not feel is right for you. I suggest you read to the bottom so you have all the info, then use as many or as few as you feel is necessary. This is the thing most musicians do to make money form their website: selling the products you personally make and provide. What kind of products I hear some of you asking? Well, any music you make is a product. So digital downloads of your songs, CDs you press up, and vinyl if you make those. Other products you could also offer is merchandise. If you’ve made any merch, for example t-shirts, posters, magnets and the like, you should also sell these from your website. The more good quality and good value things you can offer to fans, the better the chance you’ll make a sale. Lastly, tickets to come and see you at gigs will also fall under this category. It’s a product you can sell online, so give this option to fans. Either do it directly from your own website, or as most musicians do, do it via a third party ticket website and link to it from your own site. I won’t go into too much detail about this here as this is the advice most others give in terms of monetizing your music site. So instead, let’s look at some of the less used methods you can try out. One of the things not many musicians do is monetize their audience via affiliate products. An affiliate product is a product that belongs to someone else. They make it, ship it, and deal with any customer service issues attached with that sale. You simply refer people to that product, and if the person you refer buys it, you get a percentage of that sale. So why would someone else give you a cut of the profits from each sale? Because they need to get their product in front of new people! If you have a fanbase, you have access to people that they wouldn’t usually be able to reach. They want you to promote their product to your audience, and they’re willing to give you money any time you successfully do so. Fans of yours will often want to live small parts of your lifestyle, so by casually mentioning some products you use here and there, you’ll get people looking into those products themselves. If they go on to buy it through your link, you’ll get some of the profits. 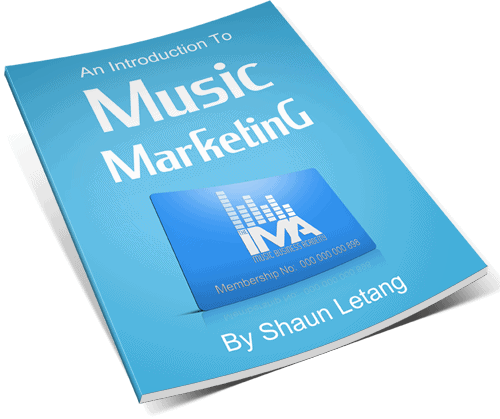 I’ll do another post covering affiliate marketing in more detail in future so you can get up and running, but for now know that this is a good option to make extra money from your music site. If you have any questions before I write the guide, ask away in the comments and I’ll do my best to answer. Advertising is another way you can make money from your music site. You might already be familiar with advertising as a business model, even if it isn’t in terms of the music industry. 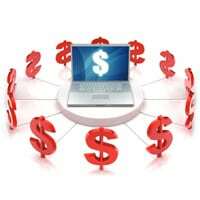 Many of the biggest websites in the world use advertising as a way of making money from their site. How it works is people pay to get their message in front of your audience. They may feel the people who like your music are a perfect fit for the product or service they’re trying to promote, and would like to team up with you in this way. There are a number of different types of advertising that are usually available. One common one is banner adverts. This is where they put an image advert on your website, usually in your sidebar or near the top / bottom of your site. Another option is to advertise in your mailing list or on your social profiles. Many big musicians and celebrities allow people to put a banner advert in their mailing list, or send out a sponsored tweet for example. One important thing to remember is the amount you can make from advertising is usually based on how much reach you have. So if you have a big fan base, you can charge more for people to advertise on your website. If you haven’t got a decent sized fanbase however you won’t make much from this if anything. Another option you can use is selling a service you personally provide. So for example, let’s say you’re a singer. You’ll well trained, and you can also teach other people how to become a better singer. If you’ve got a decent sized fanbase, chances are there will be other people who want to know how to sing like you. Furthermore, some will pay to get taught by you personally, either face to face, or maybe even via a video chat service such as Skype. So this is something you could offer to fans of your music. The once in a life time opportunity to be trained by you if they so desire. If you have any other relevant services you can offer fans, offer those too. The key word though is relevant. There’s no point offering fans of your music a professional cleaning service just because you’re good at cleaning up; it’ll detract from your brand, and it’s not what people will be interested in when viewing your site. 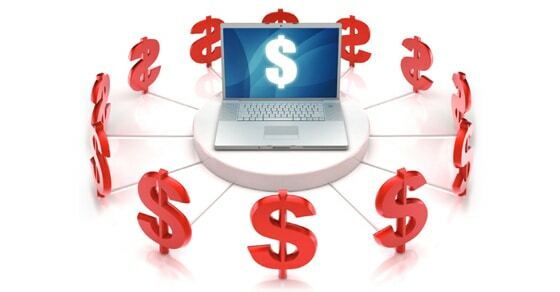 There you have it, four ways you can make money from your website. Which way is best? Well I personally recommenced you do numbers 1 and 2 100% definitely. Number 3, advertising, isn’t usually very profitable unless you have a lot of visitors. If you decide to go with it though, make sure the adverts are relevant, as again it can take away from your brand as a musician if they’re not. Number 4 is a good idea if you have a relevant service to offer and you have the time to deliver. If not, stick to the first two. So what’s your view? Do you have any other ways in which you can make money from your music website? Let me know in the comments. What Merch Should Bands Have? The Core Set!